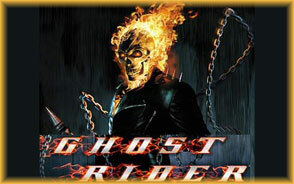 Hasbro Toys brings you the new Ghost Rider action figures from the upcoming release of the movie starring Nicolas Cage and Eva Mendez. Rest assure that this Marvel super heroes is showcased in this assortment of 6-inch action figures. Most figures feature over 30 points of articulation and can be put in nearly any position.